South Texas College and South Texas Health System hosted a check presentation Thursday, Jan. 10. Funds will be used to provide scholarships to Nursing and Allied Health Students. 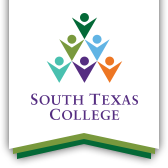 South Texas College students in the Nursing and Allied Health Division can now apply for scholarships courtesy of South Texas Health System. Speakers at the check presentation included Dr. Reed and South Texas Health System CEO Todd Mann, Dean for Nursing and Allied Health Dr. Jayson Valerio, and STC board chairman Paul Rodriguez. Students who are interested in applying for the South Texas Health System Scholarship, must be enrolled in an Associate of Applied Science or any healthcare degree. Any student must have a GPA of 2.5 in all course work, must pass all the course work with a C or better, and the student must be taking 12 credits a semester.